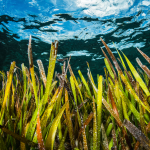 Welcome to the November edition of the Blue Carbon Lab (BCL) Newsletter! 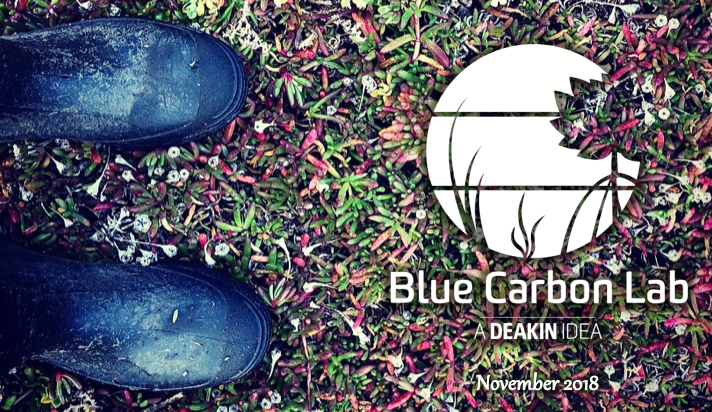 Through the Biodiversity Response Planning (BRP) program of the Department of Environment, Land and Planing of Victoria (DELWP), Deakin University’s Blue Carbon Lab will have the opportunity to put years of science into on-ground action. 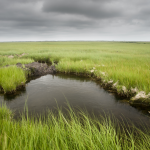 The Wetland Restoration project, led by the Blue Carbon Lab, aims to rehabilitate more than 100 ha of our coastal zones, while developing and testing key conservation strategies. It will be delivered over the next 3 years and bring together more than 15 Academic Institutions, NGOS, Catchment Authorities, Government agencies, industries and Traditional Owners. 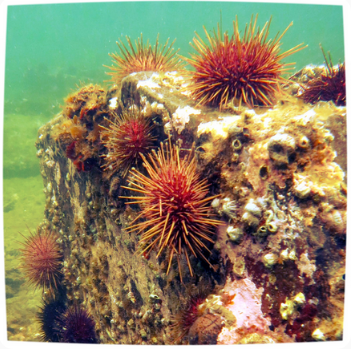 The project will assist in the revegetation of barren reefs in marine protected areas by the removal of overabundant urchins from 32.5 hectares of reef, and develop an urchin management plan to assist targeting of future on-ground action.​ Led by The University of Melbourne (Prof. Stephen Swearer), the research will involve more than 9 scientists from Deakin University and Parks Victoria. 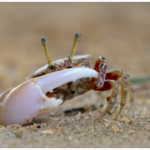 The HSBC Citizen Science program is about to kick off in Melbourne and New Zealand! 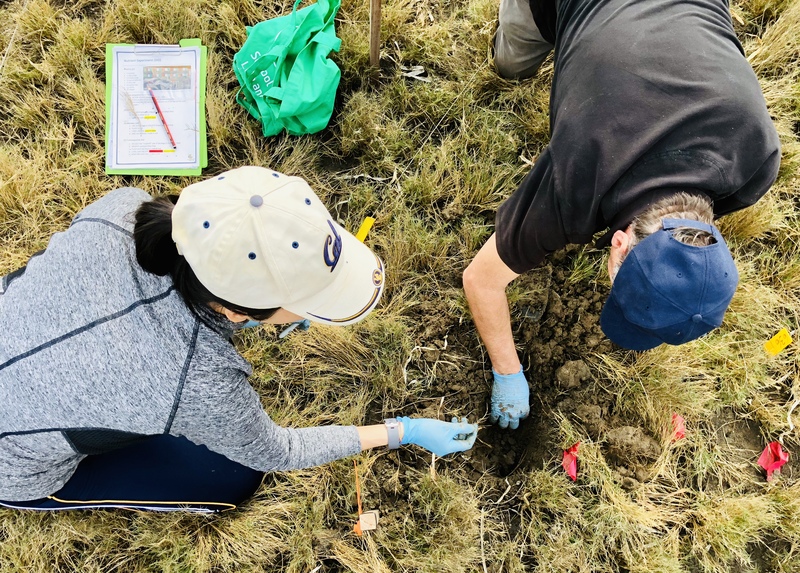 Having completed three successful field trips in Sydney (including > 50 volunteers), program coordinator Dr. Maria Palacios is ready transform employees from HSBC Melbourne and Auckland into Blue Carbon scientists. 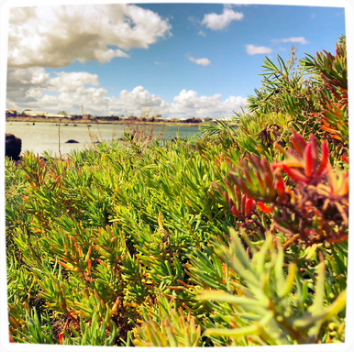 Fieldwork in Melbourne will take place at Jawbone Reserve and Stony Creek (west Port Phillip Bay) where participants will help us quantify the Blue Carbon gains from mangrove restoration. Dr. Paul Carnell will lead the field work including mangrove surveys and the collection of deep soil cores. 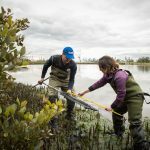 In New Zealand, the Blue Carbon Lab has partnered with the University of Auckland and NIWA to study whether the on growing expansion of Auckland’s mangroves is helping offset the city’s carbon emissions. HSBC participants will get to visit more than four sites and participate of an intense soil coring campaign! 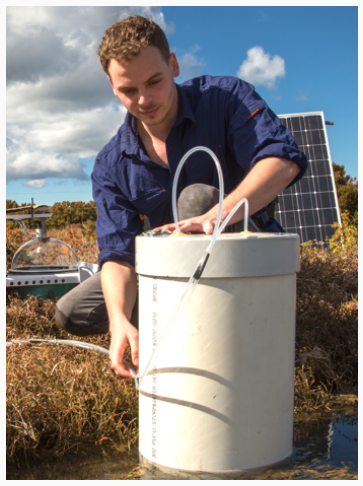 A study form the Blue Carbon Lab (BCL) quantifying greenhouse gas emissions from farm dams has shown they are a significant contributor to man-made climate change, but that emissions could be cut in half with targeted changes to farming practices. 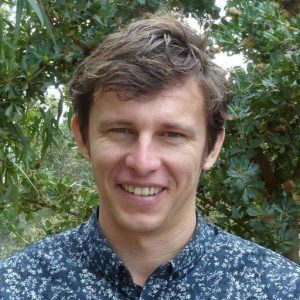 Lead author Quinn Ollivier said although farm dams had one of the highest emissions per m2 of all freshwater ecosystems, they are not currently accounted for in any greenhouse budgets. Agricultural dams from regional Victoria produce the same daily emissions as 385,000 extra cars on the state’s roads. Publication: Punching above their weight: Large release of greenhouse gases from small agricultural dams. Ollivier et al. (2018) Global Change Biology. 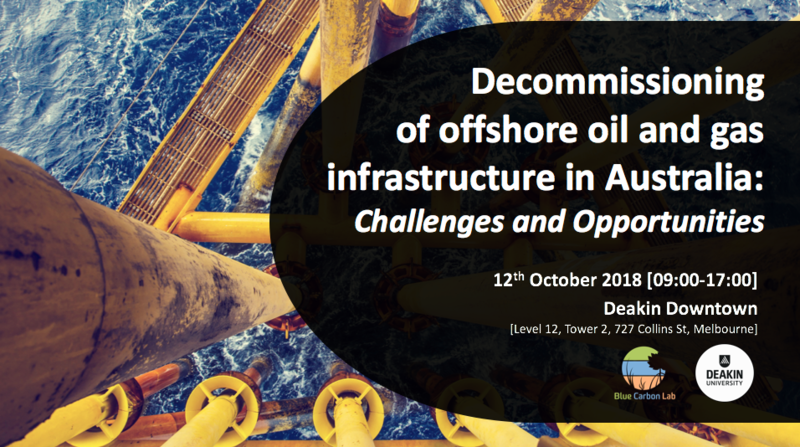 Ecologists, engineers, chemists and industry representatives came together on the 12th of October to discuss the knowledge gaps and challenges of decommissioning oil and gas infrastructures in Australia. The workshop was convened by A/Prof Peter Macreadie and included keynote speaker Prof MIlton Love from University of California, Santa Barbara. Marine scientists from the Blue Carbon Lab (BCL) have been busy deploying wave loggers around coastal Victoria to study how mangrove, seagrass, and saltmarsh ecosystems help attenuate wave impact and protect Australia’s coastline from storm surge and extreme weather events. 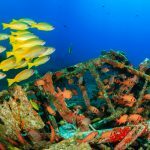 Research is part of the Mapping Ocean Wealth program lead by The Nature Conservancy, in collaboration with Dr. Rebecca Morris and Dr Beth Strain from University of Melbourne and Dr. Ruth Reef from Monash University. 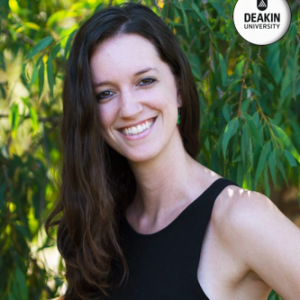 Our research fellow Dr Stacey Trevathan-Tackett was awarded a 2019 Alfred Deakin Postdoctoral Research Fellowship to continue her tea bag work with TeaCompositionH2O! 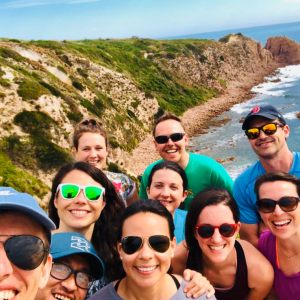 The Blue Carbon Lab (BCL) spent a week in Phillip Island during our annual writing workshop. It was a productive time to smash our writing goals and boost our teamwork. Two new PhD students joined the Blue Carbon Lab (BCL): Erlania and Yi Mei Tan! 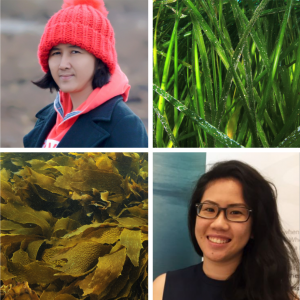 They will be studying seaweed and seagrass in South Eastern Australia. 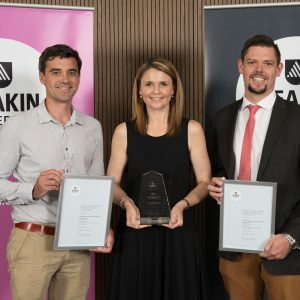 A/Prof Peter Macreadie and colleagues received the Deakin Vice-Chancellor’s award for Sustainability, thanks to partnership with Qantas Future Planet. Dr Pawel Waryszak arrived from the USA and joined the Blue Carbon Lab. For the next years, he will be boosting our research on coastal wetlands, Blue Carbon & #MappingOceanWealth. 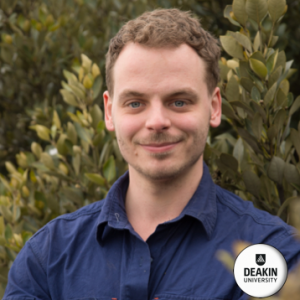 PhD Student Quinn Ollivier has been awarded the Best Paper Award by @DeakinCIE, for his paper “Punching above their weight: Large release of greenhouse gases from small agricultural dams”.